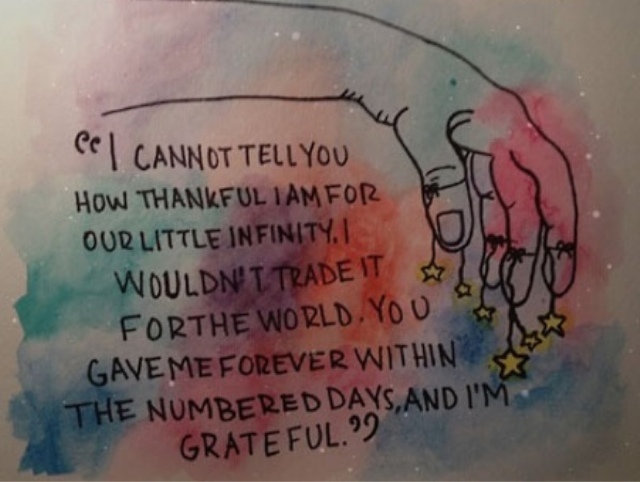 I just found your blog on pinterest :) just started reading TFIOS this week. Makes me think of Mal and Aaron... But I am enjoying it. Anyways. Love you and miss you tons! 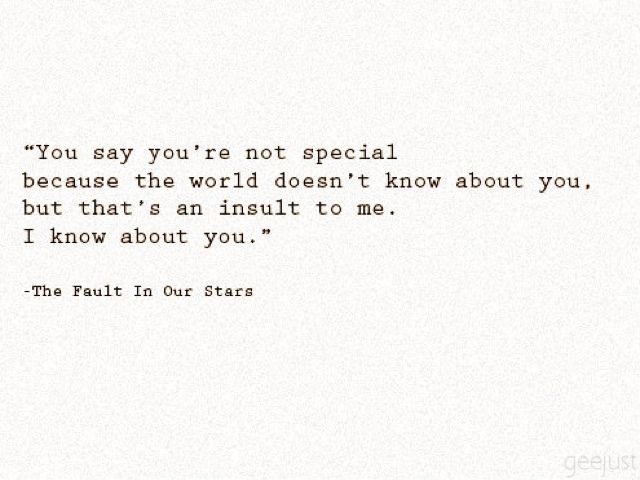 TFIOS is my favorite novel and it really hit me hard but has also stayed very close to my heart. My boyfriend and I recently read it together and he would read chapters to me during panic attacks to calm me down and it gave me a whole new way to view this beautifully tragic love story. John Green did a wonderful job in showing his readers how short life is and how nothing is permanent. This post is beautiful. this touched me so much more than Green's book. thank you.